Tyfy.co | Connecting students with questions to students with answers. Get a mentor who has done the same module you're struggling with. Access study support from your phone. We make mentoring quick, easy and rewarding. Prove your CV with reviews. Don't tell an employer you know what you're talking about; show them. 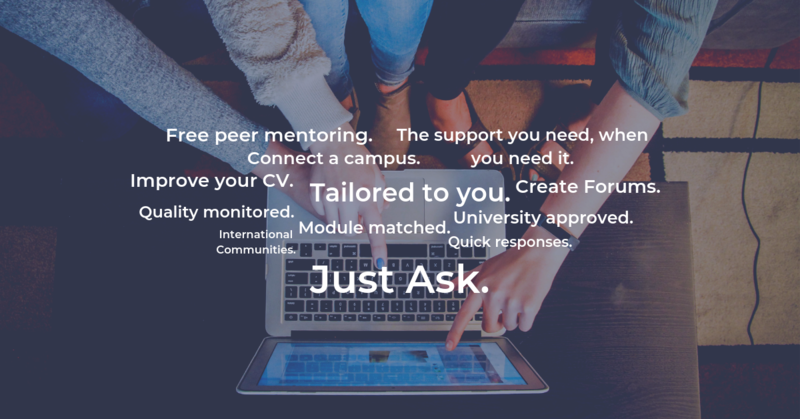 It’s free online peer mentoring from students who have done the same modules as you. Tyfy matches people with questions to people with answers. We run a matching algorithm based on your module choice, which puts you with a mentor who has done the exact same modules as you. We also help Third Years land a job for when they graduate.